The governor of the Central Bank of Egypt said on Friday that Egypt’s economic reform programme has exceeded expectations, and that Cairo is not in need of a new loan programme from the International Monetary Fund. The IMF’s board of governors have expressed keenness to cooperate again with Egypt, Tarek Amer said. 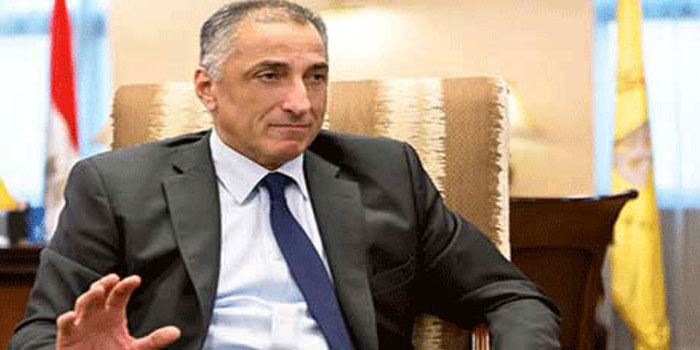 In statements to MENA on the sidelines of the Spring Meetings of the World Bank Group and the IMF in Washington, the CBE governor said that Egypt is adopting liberal policies given the country’s aim to boost economic growth via depending on various funding sources, and not only domestic savings. The unemployment rate has reached 13 percent, Amer said adding that the budget deficit declined to EGP 6 billion from EGP 20 billion in only two years. A total of EGP 160 billion has been allocated for investments by the finance ministry, Amer noted. Amer also said that the country’s foreign cash flows from different sources have recorded $130 billion since the Egyptian pound was floated in November 2016. This is an important indicator that reflects the improvement of the Egyptian economic situation, Amer said.